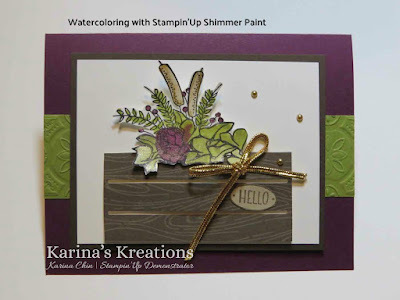 Karina's Kreations: Stampin'Up Watercoloring with Shimmer Paint and the Country Homes stamp set! Stampin'Up Watercoloring with Shimmer Paint and the Country Homes stamp set! Stampin'Up has four colors of Shimmer Paint available. The colors are Frost White, Champagne Mist, Vegas Gold and Bright Copper. 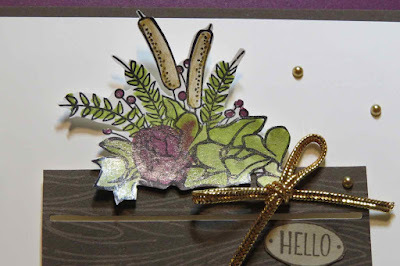 I'll show you how to water color with Frost White shimmer paint and re-inkers today using the County Home stamp set. If you like this video please share it with a friend. 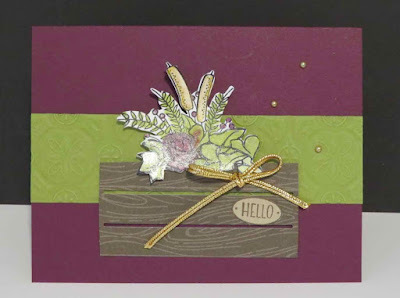 The Country Home stamp set is part of my Stamp set of the month. This program is $30.95 a month and includes the Country Home stamp set and three different cards or the card kits to make the cards. This is one of the cards. I added 3-1/4 x 4-1/4" Whisper White card stock under the flower image. I think it makes it pop! What do you think?